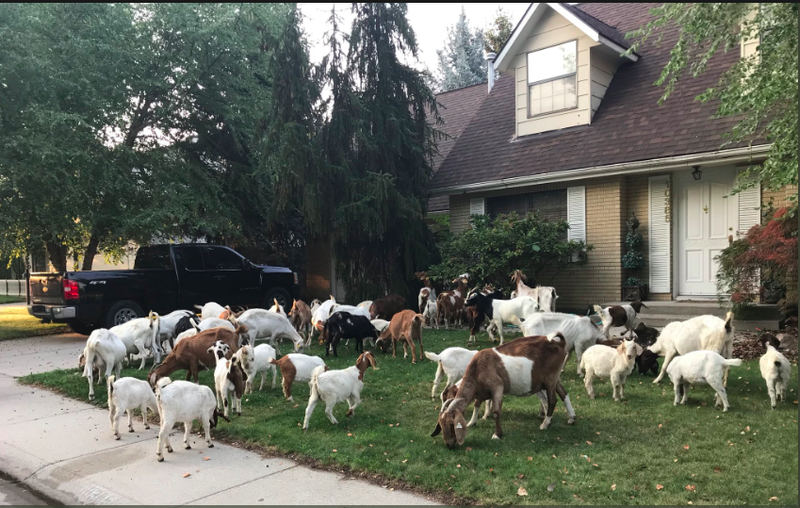 This morning, residents in Boise, Idaho, woke up to approximately 75 marauding goats roaming from house to house, eating everything in their path like a plague of slow-moving, adorable locusts. According to local reporter Joe Parris, no one knew where these goats came from or anything about them. Animal control was dispatched but couldn’t cart them all away in their single truck. Eventually, the kids were hauled off in a truck from We Rent Goats, a local company that provides goats for all your weed removal and other lawn care needs.